I grew up online. That might sound extreme to some of you, but it is incredibly accurate. When I was four, my mom walked in the living room to find me on the computer. When she asked what I was doing, I replied “I’m sending an email to multiple recipients”. Yes, I had an email address at 4. When I was in kindergarten, we were told to “interview” an older family member about a holiday when they were young. I did my interview over AOL Instant Message. My dad still has the chat saved. I have had a computer in my room since I was ten or eleven, which is also, incidentally, when I got my first cell phone. I’m often told by people in the older generation that it’s a shame that my generation is so tech obsessed. We never get off of our phones. We post everything in the world on Facebook. We don’t even know how to have real conversations anymore. Well, with all due respect to my elders, I think it’s a bit ridiculous. I feel so incredibly blessed to be living in this generation. I don’t think we need to swear off smart phones and work on having a “1970’s summer”. I’ll stick with my iPhone and social media anyday, and here’s why. When I lived at home with my parents, I stayed at friends houses or had friends stay over pretty much every weekend. The rule was that I would call (or later text) my parents when I woke up to make a plan for the day. I took a ferry and two city buses to school in seventh grade. My phone was my lifeline. I could give my parents a heads up if I missed one of my connections and would be late. I could call my best friend when there were creepers looking at me. My best friend lives about an hour from me, and we get together for lunch about once a month. We talk pretty much every day though, thanks to technology. My closest blogging friend lives in New York. We chat in real time nearly every day thanks to Facebook. When my husband is at work we can text back and forth. It’s easy to send texts as I think of things throughout the day and he can read them as he has time, whereas a phone call interrupts his work. I’ve always been one to overshare on social media. Always. I remember once my mom told me to stop updating my Facebook because it always just listed the schoolwork I was doing. “No one cares!” she’d say. And she was probably right. No one cared how many chapters of history I needed to get done, but it’s kind of fun to see that now. See, I finished high school with two kids. It makes me proud to see all of those late night posts about schoolwork. It makes me remember where I came from, and it helps me to appreciate where my life is now. I post pictures and videos of my kids being cute. I post cute quotes they say. I post about the silly things that they do. And Facebook reminds me of everything I’ve posted “on this day” since I started Facebook. Years of memories, good and bad, to remind me of where I’ve come from. I get to watch how my kids have grown, and how I’ve grown. I went from a teen mom posting about English essays and song lyrics, to a mom of four posting about business ideas and how blessed I am to do what I love and stay home with my kids. When my kids are grown, I can show them years worth of memories all archived thanks to me “constantly having my phone out”, and I truly believe they’ll thank me for it. If you lift a kangaroo’s tail off the ground it can’t hop. You cannot snore and dream at the same time. Slugs have 4 noses. All of this, and more completely useless information is available at our finger tips. Aside from completely random facts that I spent way too much time finding on Google, there’s also a ton of valuable information readily available that our parents and grandparents just didn’t have. We can find 247 articles on how to not yell at our kids, 382 articles on getting our kids to sleep, and 893 articles on when, how and what to start feeding your kids, all within seconds. We now know that rearfacing is exponentially safer than forward facing. We know that kids with neurological differences is completely normal. We know that other moms are going through exactly what we are. With twitter we have instant access when crisis happens around the world. How quickly does a hashtag start trending after a terrorist attack? I know that I learn about news stories on social media before anywhere else. Friends who know me in real life might roll their eyes at this one, but it’s true. As of today I’m in well over 200 Facebook groups. Some are for blogging, crunchy living, and prayer groups that I’m in. Others are for parenting gifted children or parenting children with SPD/Autism, or even groups for mothers who have lost babies. There’s groups on Facebook for everything. While people might think that’s silly, it’s incredibly important. I have somewhere to ask questions or vent about any topic and know that the other people in that group will understand what I’m going through. 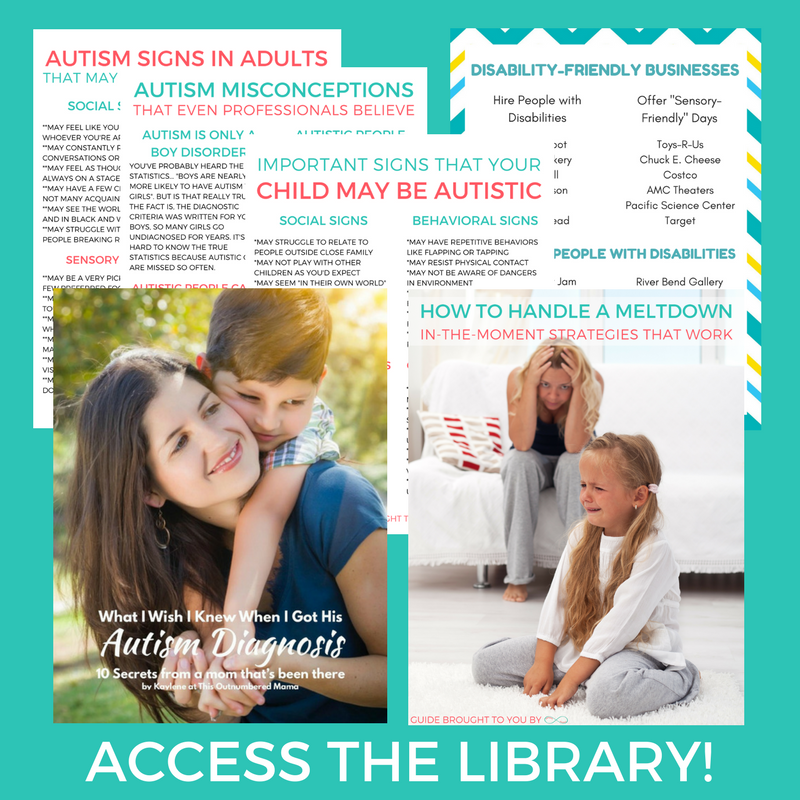 Have you ever asked about your autistic child in a group of typical parents? The results can be downright scary. Or if you post about your gifted child in a group of typical parents, you can get some nasty comments really fast! Never before have people had such immediate access to real feedback from experienced people in a similar situation to them. This one almost makes me cry to write about. Has anyone told you, “it takes a village”? We don’t have that village anymore. I don’t know my neighbors. The kids are homeschooled, so they don’t have classmates. And we had to stop attending church. I do have a Bible study that I’m a part of now, and my parents are nearby and help with babysitting, but that’s not a village. To me, a village is a group of moms who parent in similar ways that all work together raising their kids, and we just don’t have that anymore. Where do we find our village? In Facebook groups. Through blog posts. Online. We grew up online. We know that that’s where we can connect. Before I started this blog, I was an avid blog reader. I watched iHomeschool Network hangouts and quite honestly felt like I had found friends in the bloggers who were facing situations so similar to mine. Now, many of those same bloggers are friends of mine because of the internet. 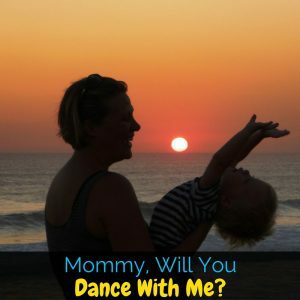 I’m able to learn from moms who’ve gone before me, and teach moms who are just starting out. I’m able to tell other moms that it’s not just you, my kid does that same thing, this is what helped us. I’m able to find my very own virtual village, all because I grew up online. I miss those hangouts, they were fun. Me too, Ticia! I was really sad that we don’t do them anymore. I’ve probably watched the gifted and special needs hangouts at least five times each.